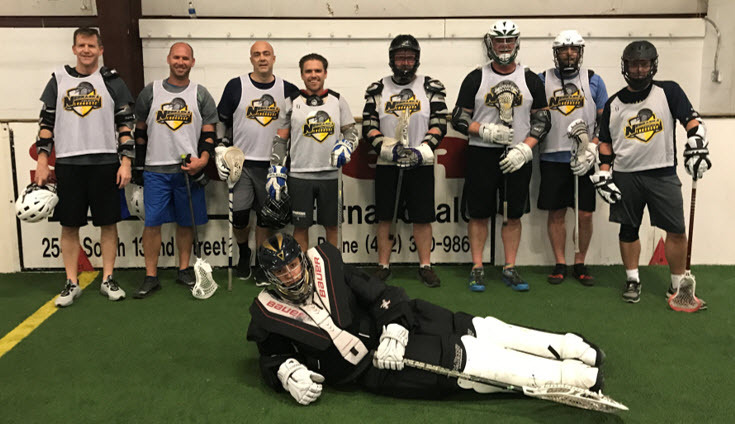 In January of 2018, NPL hosted the 1st Over 40 (or close to it) League. This league was designed for players of all types of experience from beginners to former HS/college athletes. There was a great turnout with 23 players who all seemed to have a fun experience. NPL is looking forward to continuing on this league in the summer / fall season so keep an eye out for information on it. Below are some pictures from our championship game (more photos can be found and downloaded HERE). Be sure to talk with some of the players who participated in the league to get a first hand account of their experience. 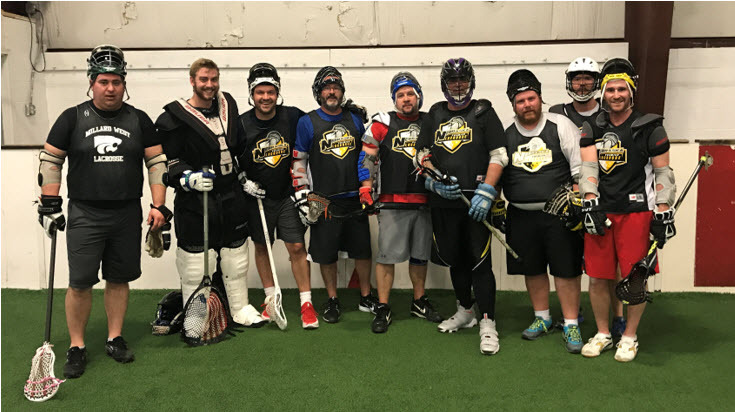 Also, NPL has procured 15 set of full lacrosse gear (Helmets, gloves, shoulders, elbows, and even a full stick) and will be renting out gear for people who would like to try it out but not incur the full expense of purchasing all the gear. Big Thanks to all the players for a very successful 1st season!!! !